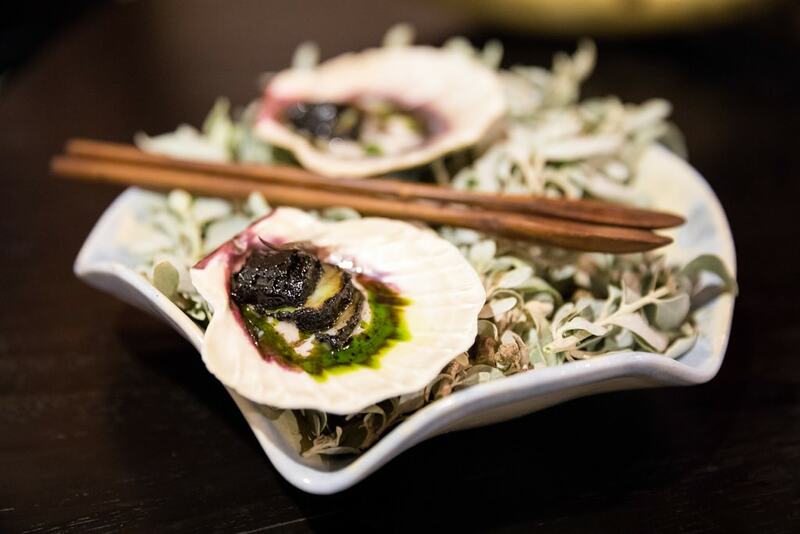 Beijing is the epitome of a foodie paradise and hidden amidst the winding hutong neighborhoods that populate Beijing‘s Dongcheng district — a culinary scene unlike any other. With menus that offer everything from Chinese cuisine to Spanish to fusion, Dongcheng’s array of restaurants can satiate any hunger. In this article, we have broken down the district’s best restaurants, and, with something for everybody, you will not go hungry if you follow our guide. Continue reading below to find out which eateries we’ve dubbed as the greatest in Dongcheng. A Dongcheng staple, Mr. Shi’s Dumplings has a way of continuously drawing hungry Beijingers to its restaurant. 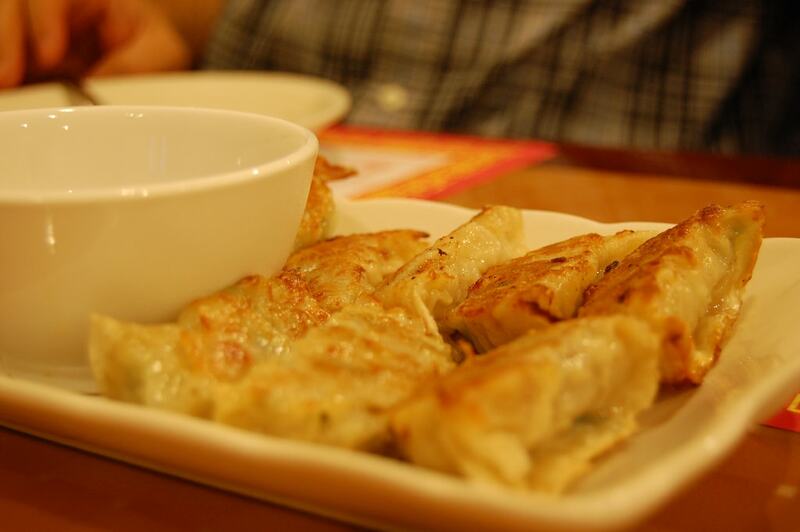 If you haven’t guessed it yet, Mr. Shi’s Dumplings is known best for it’s top-notch jiǎozi, or dumplings. Although the restaurant’s name implies that the only food served at Mr. Shi’s dumplings is, well, dumplings, this is certainly not the case. Aside from the delicious dumplings that this hole-in-the-wall eatery dishes out, Mr. Shi’s Dumplings also offers an array of other traditional Chinese dishes such as gōngbǎojīdīng (Kung Pao Chicken), chǎomiàn (stir-fry noodles), and dòufu (tofu). While the restaurant’s prices may seem a little high for dumplings, Mr. Shi’s Dumplings’ portions are large, and the food is extremely tasty, making it well worth the few extra kuài. 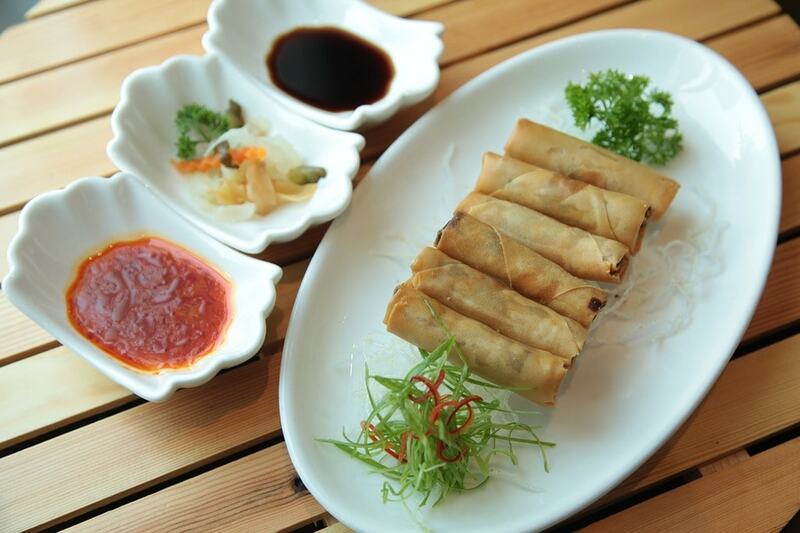 Located in the heart of Dongcheng, He Kitchen & Co., is a fabulous eatery due to both its food and its atmosphere. Standing tall amidst the bustling street of Wudaoying Hutong, this restaurant is easy to locate and worth the trip. He Kitchen & Co.’s interior is overall tiny but feels quite spacious on the restaurant’s second floor — its terrace offers even more space and overlooks the hutong roofs around it. Decorated with brushed black metal, polished concrete, luscious succulents, and large windows, He Kitchen & Co. feels airy and oozes chicness. Aside from the restaurant’s urban ambiance, He Kitchen & Co.’s food is outstanding. 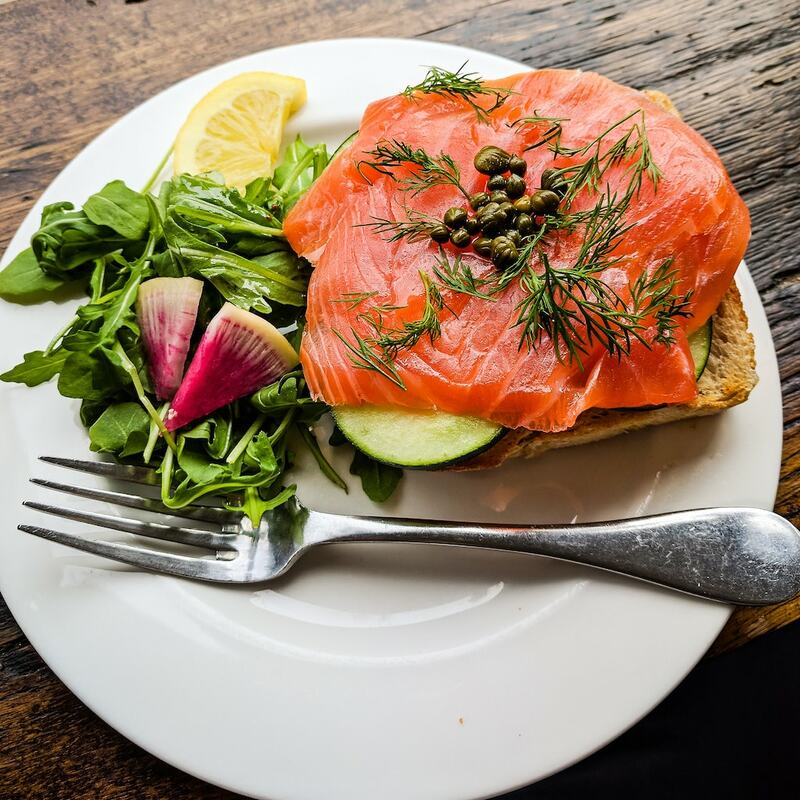 Although it’s a bit pricey, with decadent dishes – salmon teriyaki rice bowls, juicy beef burgers, and avocado and shrimp salads for example – made with fresh ingredients, it is hard to say no to dining at here. Frequented by expats and locals alike, Grandma’s Kitchen serves up Western cuisine just the way grandma would have made it! Located in one of Dongcheng district’s hutong neighborhoods, Grandma’s Kitchen can be a bit difficult to locate but can be easily spotted by its giant sign. Interestingly, the restaurant is set up hutong-style with dining rooms scattered around a central courtyard. Due to its setup, eating at Grandma’s Kitchen is quite private and is perfect for large groups. Aside from the restaurant’s darling homey atmosphere, it’s food is spot on. 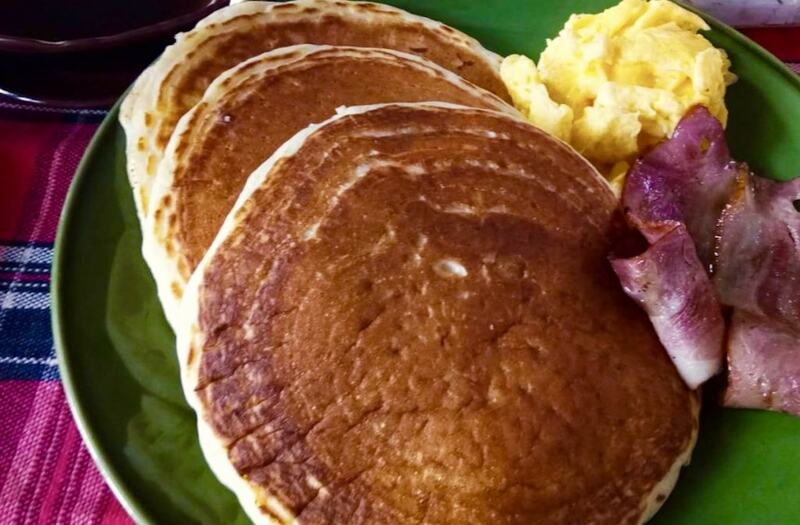 Grandma’s Kitchen has nailed Western breakfasts, pancakes and all, and their sandwiches and meatloaf will excite any eater’s taste buds. For as close to a home cooked meal as possible, dining at Grandma’s Kitchen is the way to go! Saffron is time and time again rated as one of Beijing’s best restaurants, and once you’ve dined here you’ll understand why. The restaurant’s location couldn’t be any more perfect—nestled in one Dongcheng’s most sought-after areas, Saffron is located in one of the hutongs in Wudaoying Hutong. Beijingers love Saffron for its extraordinary Spanish fare. 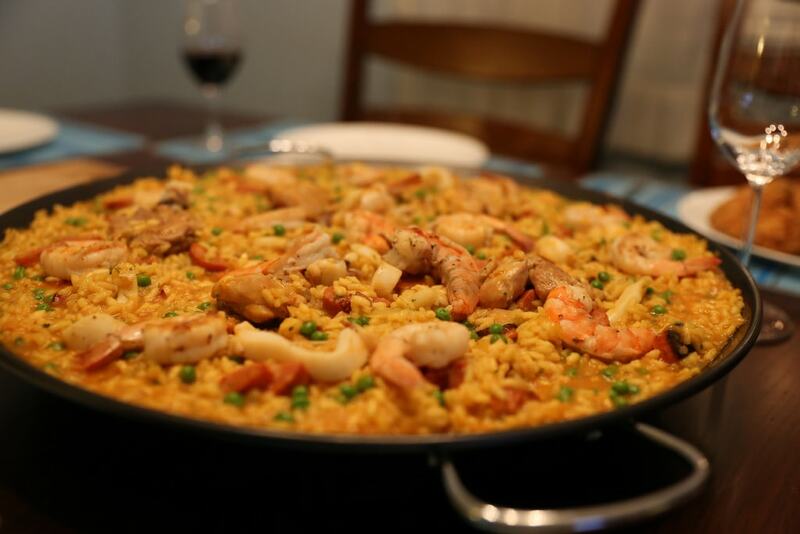 Specializing in gourmet tapas, diners here can expect to always have a selection of fresh seafood and meat-based Spanish dishes, although the menu is subject to change from time to time. Paired with their excellent selection of wine, Saffron’s tapas make for a decadent and delicious meal and the perfect date night. This swanky establishment satiates some of Beijing’s most elite pallets. TRB Hutong has repeatedly taken the spot as the “best restaurant in Beijing” time and time again, and it is no surprise. The name TRB Hutong is no misnomer; located in one of Dongcheng’s historic courtyard hutongs, the restaurant is striking on both its exterior and interior. In this courtyard though, unlike most others, some of the city’s most decadent dishes are curated by top chefs — customers can expect fresh seafood and expensive cuts of meat, perfectly cooked vegetables paired with exotic flavors, plated in an artistic way. Dining at TRB Hutong is a culinary experience unlike any other, and although expensive, worth every máo. Calling all vegetarians and vegans! King’s Joy is one of Beijing’s most beloved restaurants as well as one of their most vegan friendly too. Offering plant-based dishes in a luxurious and refined way, King’s Joy’s menu is tasty enough to entice anyone’s taste buds, even the most carnivorous ones! Meat eaters, we understand that it can be difficult to grapple with the fact that the restaurant is meat-free, but with the textures and flavor fusions incorporated in every dish, missing meat with your meal will become a thing of the past. The culinary experts that prepare King’s Joy’s cuisines are incredibly talented, crafting every plate with precision and immense expertise — dining here is never a bad bet. With it’s impeccable atmosphere, food, and service, King’s Joy is an absolute must-try while in Dongcheng district. Operated out of a historic courtyard-style hutong in the heart of Dongcheng, Black Sesame Kitchen is an unusual take on a restaurant — in the best possible way. Offering catering, cooking classes, communal dinners, and privately catered reservations, this restaurant takes sit-down meals to the next level. 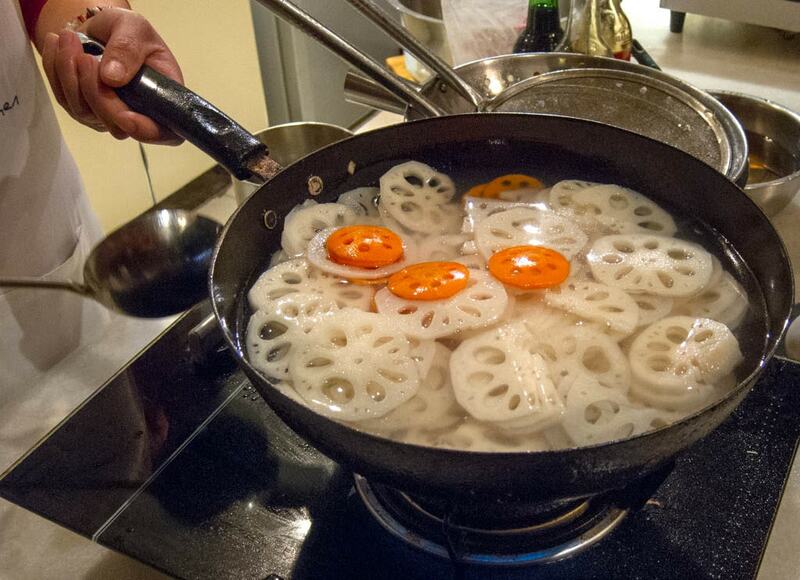 Black Sesame Kitchen’s specializes in gourmet, ten-course communal meals every Tuesday and Friday evening at seven. The dinners are both wildly inexpensive — at RMB 300 per person — for what they offer; guests attending the special dinners should expect Chinese dishes made of fresh, seasonal ingredients — Black Sesame Kitchen’s dinners are similar to farm-to-table dinners elsewhere. The catch to eating here is that dinners (and cooking classes) are typically booked well in advance, so to assure that you have a spot at the Black Sesame Kitchen table, make a reservation beforehand. Between the restaurant’s friendly and attentive staff, it’s warm, homey atmosphere, and impressive array of food, dining at the Black Sesame Kitchen is essential for any foodie. Little Yunnan does not serve up just your average Yunnan cuisine. Located in a homey hutong in Dongcheng, this restaurant is best known for cooking up extremely fresh, and superbly delicious (can we get a “spicy!”?) traditional Yunnan dishes. The atmosphere, a warm and friendly one, has a relaxing vibe to it; it almost feels like you’re being served a home-cooked meal. As for the restaurant’s food, Little Yunnan provides diners with a sprawling menu, giving them choices from pages of truly yummy traditional food — for foodies, or customers unfamiliar with Yunnan cuisine, the menu gives them the option to try a little bit of everything! Whether you already love Yunnan food, or you’re looking to try something new, Little Yunnan is certainly one of the best restaurant choices you can make! Mai Fresh is yet another beloved Dongcheng hutong courtyard restaurant. Known by Beijingers for its healthy menu, Mai Fresh keeps expats and locals’ stomachs full of creative flavors and extremely fresh ingredients. 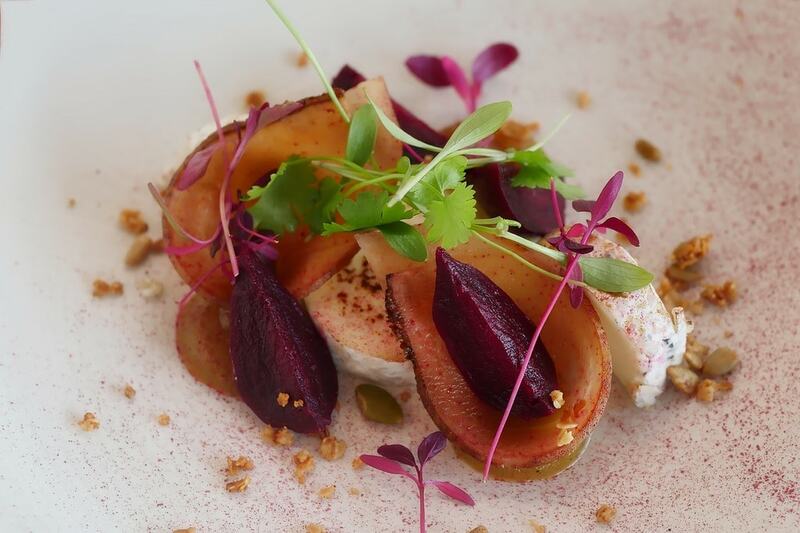 The food here is served in a beautifully simple way; the plating is always picture perfect. Contrary to what you may think due to the more minimalist plating, the food at Mai Fresh is chock full of flavor. When dining here, customers can expect foods – oysters, fresh beef, acai bowls – that can be difficult to get elsewhere and excellent service. Between the restaurant’s cozy atmosphere and its mouth-watering healthy food, say yes to dining at Mai Fresh!